The Institute for Research on Poverty (IRP) at the University of Wisconsin–Madison is a center for interdisciplinary research into the causes and consequences of poverty and inequality and the impact of related policies and programs. As the National Poverty Research Center sponsored by the U.S. Department of Health and Human Services, IRP coordinates the U.S. Collaborative of Poverty Centers in an integrated set of activities with the ultimate goal of improving the effectiveness of public policies to reduce poverty and inequality and their impacts on the well-being of the American people. IRP places a high priority on making knowledge and information available to interested parties. In addition to our on-campus seminar series, IRP offers regular online webinars on current research on poverty and social inequality in the United States. Register for upcoming webinars or watch recordings of past webinars. Beginning in 1998, jurisdictions across the United States began implementing "ban the box" policies to prevent employers from asking about criminal records until late in the hiring process. These policies were intended to improve employment outcomes for ex-offenders. In this webinar, Jennifer Doleac of the University of Virginia and Benjamin Hansen of the University of Oregon will discuss research showing that these ban the box efforts may have unintended consequences and, in particular, could exacerbate racial disparities in employment. Despite being a wealthy country, the United States ranks below most other developed countries on factors related to infant mortality and maternal health. In this webinar, Deborah Ehrenthal of the University of Wisconsin–Madison Departments of Population Health Sciences and Obstetrics and Gynecology will discuss these issues and others, including determinants, effects, and strategies for reducing adverse birth outcomes. In this webinar, Elaine Maag of the Urban-Brookings Tax Policy Center and James Ziliak of the University of Kentucky Center for Poverty Research will discuss the Tax Cuts and Jobs Act and its anticipated impacts on low-income households in the United States. The presenters will discuss key components of the new tax law and offer projections showing its likely effects on low-income households in the coming decade. Finally, they will discuss the broader implications of the shift in tax policy, including how changes in government funding may matter for other programs and initiatives relevant to low-income Americans. Substance use can have damaging effects on families and may reduce parents' ability to safely care for their children. After years of decline, foster care caseloads increased by 8 percent from 2011 to 2015. This increase has concerned child welfare practitioners and policymakers, and many have pointed to the opioid epidemic as a major contributing factor. Despite the anecdotes, there has not been nationwide empirical evidence to support this. In this webinar, Robin Ghertner and Annette Waters (Office of the Assistant Secretary for Planning and Evaluation, US Department of Health and Human Services) will present results from a mixed methods study demonstrating that there is a relationship between substance use and opioid misuse prevalence, and child welfare outcomes. They will also discuss the mechanisms by which parental substance use has led to the rise in caseloads, and the unique challenges the current opioid epidemic is presenting to child welfare systems. In the United States it is well known that student loan debt has been rising for several years. Less known is that black college students rely more on student loans than white students, have higher student loan debt burdens, and are more likely to default. At the same time, black young adults face more difficult labor market prospects. 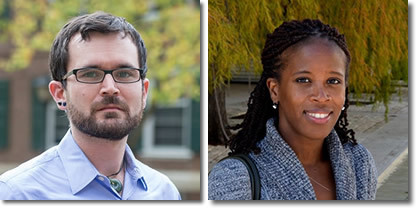 In this webinar, Jason Houle of Dartmouth College and Fenaba Addo of the University of Wisconsin–Madison will examine these trends and the extent to which they may be contributing to black-white disparities in wealth. With growing national interest in Paid Family Leave, there are many questions about how these policies might extend to low-income women. 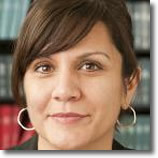 In this webinar, Marci Ybarra of the University of Chicago School of Social Service Administration will provide an overview of current family leave policies and research. She will then discuss how other public welfare programs may function as temporary supports for poor mothers with infant children, and how expanded paid family leave programs could improve the well-being of families with children. Living in a socioeconomically disadvantaged neighborhood is associated with lower education, worse health behaviors, higher stress, and increased rates of mortality and disease. These associations have been recognized for decades, but there have been barriers to applying this information to health policy and health delivery. 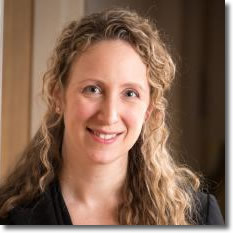 In this webinar, Dr. Amy Kind of the University of Wisconsin School of Medicine and Public Health will discuss the relationship between neighborhood disadvantage and health disparities, and the challenges of incorporating socioeconomic measures within national-level health policy and delivery. She will then introduce a practical approach to measuring neighborhood disadvantage and discuss early applications of this tool for health care delivery.